Your Buick deserves only the best to keep it performing at the top of its class. Centrally located in the Inland Empire off the 10 Freeway in Colton, CA, our 56,000 square foot parts and accessories warehouse has everything you need for your Buick at a great low price. When you buy from OE Auto Parts, you can know that you are buying genuine, original manufacturer equipment. Parts and accessories are available for all Buick models including older models such as the Century and Park Avenue, as well as all late model vehicles such as the Enclave, Encore, LaCrosse, Regal, and Verano. In 1903, the first Buick was constructed and the American luxury car was born. 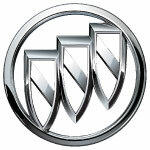 Since then, Buick has created a world-class vehicle line-up including the Regal, Skylark, Riviera, and Enclave. Known for their reliability and affordability, their trademark designs like sweep spears, delta fins, and classic grille styling continue to set them apart. Buick is a member of the General Motors brand which includes eleven total vehicle brands including Chevrolet, GMC and Cadillac. What kind of Parts do you need? We believe in Privacy. Your information will not be shared with anyone. This website and its content is copyright of Moss Bros. Auto Group - ©2015 - 2017 Moss Bros. Auto Group. All rights reserved.